Would you like to learn more about current EMS studies? If so, you’re in luck! We’re going to take a closer look at the Journal of Emergency Medical Services (JEMS), a great resource for both veteran and budding EMS professionals. According to their website, JEMS “seeks to improve patient care in the prehospital setting and promote positive change in EMS by delivering information and education from industry leaders, change makers and emerging voices.” Among their many services, they also provide helpful information for various aspects of EMS, such as patient care, administration and leadership, training, operations, major incidents, and mobile integrated healthcare. On their website, you’ll find that this information is delivered through several mediums. These include a journal, articles, webcasts, eBooks, and videos, just to name a few! Today, we’d like to review some studies they have recently analyzed, ones that we think provide great insight into certain issues or elements of the EMS field. 1. Study Seeks Better Understanding of EMS Experience With Hospice Patients: In this study, various EMS providers were surveyed on their experiences caring for hospice patients. Approximately 86 EMTs and 96 paramedics responded to the survey. According to JEMS, “questions on their comfort level caring for these patients revealed that family-related challenges, communication with hospice and ED providers, portability and use of end-of-life documentation, and the need for additional education” were quite common in their replies. 2. New Study Shows Trends in Naloxone Administration by EMS: A recent study highlights the importance of “EMS data in estimating the public health burden of opioid overdose and can help emergency responders, public healthcare organizations and community organizations” evaluate prevention strategies to address the widespread issue. If your curiosity has been piqued and you’re looking into EMT training, you might want to consider the accelerated EMT program at Unitek. Ultimately, we strive to prepare our students for a fulfilling career in EMS. Seasoned professionals provide students with vital knowledge and skills through a combination of expert lectures, applied training, and workshop-style classes. Additionally, we offer a program with several variations to better accommodate our students. These include a 14-Day Boot Camp1 and an Expanded Online Hybrid at our Fremont Campus in Northern California. We also offer a modified version of the Boot Camp at our facility in Chandler, Arizona. 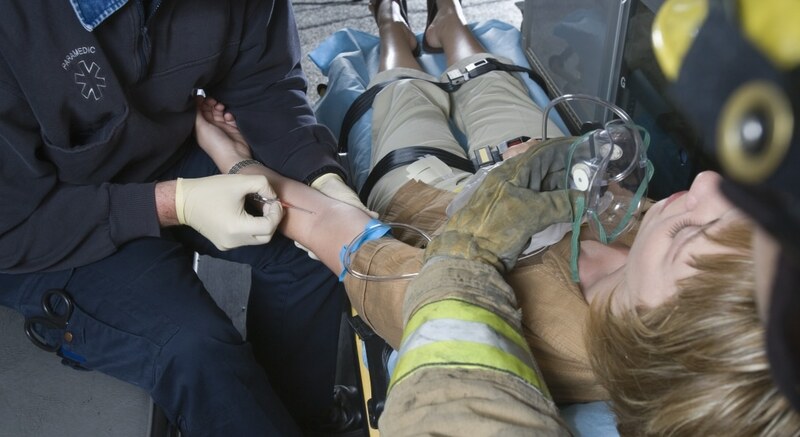 Both of our locations provide students with a comprehensive yet efficient EMT program. Start a new career with Unitek EMT!